It is easy to profit from Hollywood. Most moviegoers go to the theater as an escape from reality. Even when they are going to see a film based on real-life events, the point of going to the movies is to relax and be entertained. Investing probably is not the first thing on moviegoers’ minds, but there is money to be made with Hollywood movie stocks. There are not a large amount of publicly traded companies whose primary lines of business are the distribution and production of movies, but there are a few. This option makes the most sense in terms of getting direct exposure to the movie business. There is some risk with these type of stocks. Namely, the market can overreact both when a studio’s movies do well at the box office and when the films perform poorly. That exposes investors to increased levels of volatility. Lions Gate Entertainment is an example of a studio stock. Another way for investors to get exposure to Hollywood movie stocks is through media conglomerates. This is a conservative approach because these are typically large companies whose fortunes are not determined by just one or two movies. 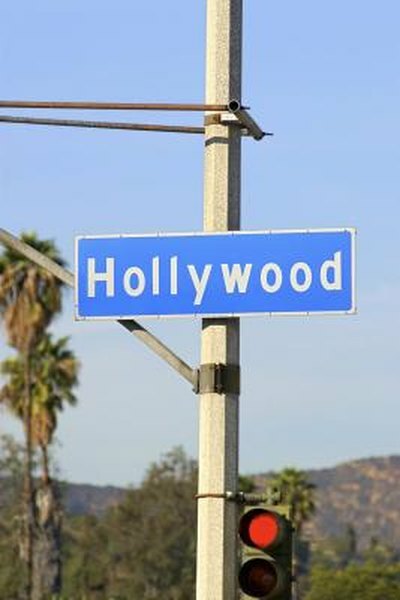 Additionally, media conglomerates own a variety of businesses in addition to movie studios. Those businesses include television networks, newspapers, radio stations and other entities. Examples include News Corp. and Walt Disney. Movie theaters are not part of the production of movies, but they obviously play a pivotal role in ensuring the general public has an opportunity to consume Hollywood’s latest creations. While this is a competitive business, movie theater stocks do offer a couple of compelling themes to investors, including robust international growth. The risk with theater stocks is that this is a discretionary group, meaning moviegoers have to choose to spend more to see a movie in the theater rather than waiting for it to become available for purchase in stores or for rent. Theater stocks include Regal Entertainment, Cinemark Holdings and Carmike Cinemas. Like theater stocks, movie rental companies are not involved in the production of movies. However, movie rental firms play an integral role in putting films in front of viewers. Investors may already be familiar with one of these companies: Netflix, which offers DVDs by mail and streaming content online. Another example is Coinstar, which operates the Red Box movie rental kiosks. Wall Street Cheat Sheet: Which Movie Stocks Have the Most to Gain from the Oscars? Nasdaq: Movie Stocks: Theaters Are Being Abandoned, Time to Sell?